This Mini Christmas Gift Card Tower at Walmart design has been seen maxed out in an oversize design too. This smaller version apparently available to fit smaller venus and spaces. The colorful design and tier construction must have been found successful. So why not repeat that success in a more space efficient design. Plus repetition might increase shopper recognition. 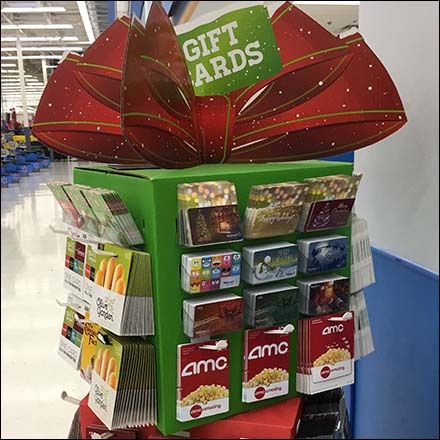 Consider this Mini Christmas Gift Card Tower at Walmart in the gallery of images.